Be sure to check below for a special Newegg SuperCombo based on this guide! Our CPU of choice is the Ryzen 3 1200. This CPU is inexpensive but still packs a punch with its 4 cores and 3.4 GHz turbo frequency. The R3 1200 includes a good stock cooler, so a 3rd-party cooler isn't necessary. We're using a parametric filter to constantly select the best-priced motherboard while meeting selected criteria. In this case, we are filtering for mATX A320 chipsets, which will save us a good chunk of money. The compatibility engine will filter out anything not compatible with the build. If you're considering building this system, our friends at Newegg worked with us to put together a SuperCombo bundle based on this guide. Be sure to check it out! I have to echo what has been said numerous times already. But, do yourself a favor and get a B350 motherboard. If you shop around, you can find one for around $60. That's ~$10 more than the board featured in this guide, and that extra $10 will allow you to push the CPU well beyond its stock capabilities. This will also be good for the future, as it will allow you overclock more expensive Ryzen CPUs that you may want to upgrade to in the not-too-distant future in order to take advantage of more than 4 threads. Yes, the B350 is a better deal for those who decide to overclock. The only time I can see the B320 being used is in corporate settings where they go with the cheapest RAM, CPU, graphics and other items for the every day computer workstation. Other than corporate use, the B350 is more stable when it comes to overclocking RAM, that and the ability to overclock the CPU is standard in the B350 and can't do that in the B320. I've got a range of different AMD Ryzen motherboards now and I must say, I actually like the B350 over the X370, if you can believe it. If I want Crossfire or SLI, I stick with the X399 (Ryzen Threadrippers). For every day users on a budget, you've made the right choice, the B350 is a steal for $60. It's A320, not B320. But, yes. The A320 boards definitely have a market. Either for those who don't want to overclock anything, in which case they'd do better with the 1300X than the 1200, or for those who aren't interested in doing a lot of gaming. This build would be perfect for a small home office, or as an HTPC, and is capable of doing some decent gaming on the side. Well, an A320 Biostar MoBo went on sale for $30 the other day. It's deals like this alone that make would make an A320 worth it. Yes, indeed it would be. Biostar is making a comeback as of late, previously to the time their quality was horrible but I do give them a vote of confidence in that department. All they need to do is clean up and simpliy their BIOS menu then they have a winner. Is it just me, or is B350 not something that filters correctly in the "Parts" Screen for Motherboards? Am I missing something (I'm entirely new to this so probably so ). Thanks! Filters fine for me. Maybe try to add a Ryzen CPU to your parts list (if you havn't) and then make sure compatibility filter is enabled. Labels for B350 may be somewhat altered, like AB350 or B350M, but they are still B350. You're fooling a lot of new gamers out there. A 1200 without B350????? The R5 1200 is suuuuuch a good value, but not when it's locked! Everyone, make sure to buy a b350 chipset motherboard so you have overclocking capabilities, not a320. TBH, I don't think SSD's are worth it for budget builds. If you're on a budget it's clear that it will be a while before you can upgrade to a hard drive will last you forever. Going solo SSD is the worst you can do, it basically means you don't want any games on a gaming pc. And all of this from a person who has an SSD. I agree with this. A 2TB HDD is a must to store your games on. I can't tell you how many times I have had to uninstall games to free up space on my SSD. I think it's smarter to incorporate both into the build. A 120GB SSD for ~$60 for Windows and a few most frequently used applications, and a 1TB WD Blue for ~$45 for games. But, if someone certainly cannot afford both, then a 1TB HDD would be the way to go. Just get used to cringing at how long your computer takes to start up (I'll never go back to a HDD as a boot drive for this reason). The HTPC we have in my living room doesn't have an SSD and takes about 5 minutes to boot. It's downright terrible. Oh jeez. Is it 5400 RPM? What are you talking about? Very few games break the 30GB margin, let alone 40-60GB. Most games are 15GB. 1TB would be able to to hold about 66 games, including the 8GB for Windows. Windows uses between 20-40 GB first off. Hell, Windows 10 system requirement is 20GB of free space. As for 15GB for the average game, no. Not if you are talking about AA-AAA games. Hell, most of my Indie games are 15GB+. I have 26 games installed, and 3 years worth of programs, pictures, etc. Out of my 500GB hard drive I've only used 180 GB. I didn't realize you could install minesweeper 26 times. I have more than a hundred games. Now, not all of them are 40-60GB but add them all up and it's more than 3TB alone. I don't have them all installed at once, but having 15 on it at once seems reasonable. Finally, someone gets my point. My $600 budget can't fit an SSD. These PCPP forums hate me for it, but I don't want an SSD. I'm a patient person. I couldn't go back to booting from a HDD. I've been spoiled by SSDs for too long (and yet to have one fail on me). That being said, I agree that they aren't 100% necessary. You can do just fine without one. Lacking an SSD doesn't make the PC less capable of gaming. It'll just be noticeably slower in certain situations, ie loading up applications, or booting up. The other nice thing is that, if you don't have the money for it now, you can use the HDD while you wait and then upgrade to an SSD when you are ready to. If you do this, though, you may want to put Windows on its own, small, partition so you can clone it to the SSD. Unless you are fine with a reinstall. This is why I got into PC gaming. So much flexibility. Yes, thank you! I've never had a SSD on my old laptops or old desktop and I've never been frustrated with speed or anything. I just don't feel the need for a SSD right now. And yet people are all like "You can't just use a HDD! They're ******! I guess you don't want a 2017 PC". It's all subjective, and I care more about storage and affordability. Those are the same people who say that quad cores are dead for gaming. Ya, there are better options out there. But I don't need them right now. When I do, I'll have the money and I'll upgrade. No biggie. Hehe, even if I had all the money in the world I wouldn't use an SSD. I like waiting. I don't like instantly booting. Also, I'm used to slow. I've never had an SSD in a single PC I've ever owned. Also, no. It won't fit. Oh wait, someone spoiled with one thinks he can; Go ahead, I dare you. Make me a $600 list that is good and has an SSD. That makes no sense. Saying you like waiting but never having experienced less waiting gives you no alternate perspective. And what do you mean it won't fit? I'm spoiled with one? Interesting thought. Are you spoiled with a flat screen monitor rather than a cvt monitor? You want a good $600 list with an SSD? This is so good I am just replying to bookmark it. I used almost exactly same build as you did here except different RAM and Hard Drive as well as no SSD and just built it yesterday. This is my first time building however I had an experienced friend help me. The problem is that when I power up the PC it stays on for 30 seconds and then reboots continuously. I get no signal on any of my monitors even though all fans and components seem to be running. Any advice? Im totally clueless and would prefer to not have to return everything just due to lack of ignorance. I have looked high and low for a solution online and have found nothing. All cables and wires are properly attached and all fans are running but no signal and no consistent power. Hope you can help. Thanks! Question why did you choose a GTX 10 series over the RX 5 series? SSHDs are a marketing gimmick. You could get 2TB of HDD and 120GB of SSD for around $100-110. I'm looking for this kind of a build, I'm having a little bit higher budget, does someone mind giving me an advice on this build,I'm going for ryzen but is intel's cpu better option? Here's the build: https://pcpartpicker.com/list/x4Yfqk , If possible I would've switched r5 1600 for r5 1400/r3 1300 and get the ssd? I'm going to use the pc for gaming and I'm going to start learning photoshop,video editing, animating and so on. Since you're using the PC for video editing, you can stick to Ryzen. If you're planning to use an SSD as a boot drive, try squeezing it in now. You can get one later but someone will need to guide you with moving the OS to the SSD. Should I go for 1200? Because I can OC it with the stock cooler and I don't know my needs. Is it smarter to go for the lower, and just upgrade if I have the need to, then to go for the expensive and not use it to it's potential? If that build is within your budget, I wouldn't recommend downgrading to Ryzen 3. Personally I would go with the r5 1600 since I prefer the performance over better boot times. You can also ask the others for their help. The 1500X is a better value than the 1400 due to the much large L3 cache. AOEMI Partition Assistant makes transferring the OS to your SSD very easy. Pretty solid, if you can afford it get 16gb ram then an SSD. 8gb of ram should be enough and the ryzen 3 1200 is actually not that bad. I would recommend either getting an ssd or if you have the budget upgrading to a 1060 6gb, the 1060 3gb isn't really worth the extra money. Thanks foe the advice, im having trouble deciding the cpu since i dont know how much of cpu performance ill need(cant decide between 1200, 1400 or 1500x)if i go with the 1200, should i go for 1060 3gb, since ill be playing 1080p but idk if ill need it. This is a pretty solid build and kind of almost exactly what i recommended to someone with a budget similar to yours. All that was different with mine is i didn't go with 1050Ti, I went with Radeon RX 560 Priced at $129. This is definitely a good build for editing ans stuff so I think you should be OK. Hope this helps. The SSDs are new but they come in a pack of 2 was thinking about selling one of them. That looks great, but if you still want more quality, you would possibly want Ryzen 5 1600. I hear all the time that it is the most "worth-it" Ryzen. This is great if you are video editing or streaming. If you really don't plan on doing either, a good OC on your R3 should definitely be enough for an average triple a game. If you really want it up to$ 700, I think your parts are definitely powerful enough. You could use that extra money on games, a keyboard/mouse, or get a case you think looks great to you. You could get a liquid cooling system for some major overclocks if you'd like, but the stock Wraith Stealth is a great air cooler. If none of these seem like options you'd want, I would definetly pocket your extra cash for another day. I'd cut down on the case and/or RAM for a b350 motherboard. How would I set up two monitors with this build? It wouldn't work at all. Ryzen does not posess an iGPU. One off the motherboard one off the Video card. Edit : New Link Obviously not final as ram prices fluctuate a lot and GPU prices are high, I update it at least every two weeks (usually 1 week) for the best price on ram and to hope that mining will end soon so I can get an RX 570 for around MSRP. I'm looking to build a gaming pc with my 11-year old son. The build above matches the budget I had in mind. One part I don't see is an optical DVD drive. Will I need one of those? If so does anyone have recommendations that are compatible with this build? If you want to burn cd's and dvd's then yes you will need an optical drive. Any optical drive will be compatible with this case since it has 5.25 bays for the drive. All Optical drives use sized 5.25 bays, hard drives use 3.25. and most SSD's use 2.25 sized bays. So if you wanted to use one ssd, one dvd player, and one hard drive, then you would need to make sure that the case you are getting has at least one of each sized bay. But if you weren't going to use any optical drives then you wouldn't need a case that has size 5.25 bays. Good point - thanks. An external DVD drive makes total sense. Can you overclock on A320? I don't believe so, I think you need a B350 board, and you'd also need an aftermarket cooler. This is as close to the cheapest viable gaming budget build as you can get. The only thing I feel you could go cheaper on is bumping the ram down to 2400, potentially a cheaper case (though that may lead to just replacing it because of crap quality), and going for 1 TB hard drive. For me 1 TB HDD is sufficient because all my music is cloud based, and I only own less than about 30 AAA title games I need to store, plus I don't have a load of selfies I'm uploading to social media sites. Sure you could go cheaper on the GPU (1030 or something RX based), but you would likely be replacing it shortly after, which isn't a money saver. And the PSU could go down to 350 but then if you want to upgrade your ryzen cpu, and add on anymore ram, or really just upgrade anything you would need to get a larger psu anyway. So yeah any lower than this will end up costing you more in the short term. The Intel version of this is sightly cheaper (~$20, depending on what you go with) but i'd rather 4/4 cores/threads of the ryzen than the 2/4 of the pentium. Side note: I wish this site included Microcenter because that place competes with most online retailers for price. 30 AAA games = 600-1800GB. thanks for the help I have now got this set up and am just waiting for the parts to come. Im looking for something basic PC Gaming build. My price is $450-500 is this a good build to play good steam games such as DayZ, Arma 3, Rust? see.. the gtx 1050 Ti is way better in 99% of all games..
Lol, just what game is that? is this worth it? or are there better builds with the r3? Does the system boot up but there isn't any image? or doesn't it boot up at all? An unlocked CPU capable of overclocking with a motherboard that doesn't support CPU overclocking? Spend the 10-20 USD more to grab a B350 motherboard. Good build, but I would reduce the hard drive to 1TB, and maybe get a cheaper PSU and ram to put the extra funds into getting a B350 motherboard for some mild overclocking. That said, I agree with the principles of this build, and especially the 1050 Ti, as it's very power-efficient and the strongest GPU in its price range, as anything that used to compete with it (470/570) is now WAY higher in price due to mining. This is well made and thought out, but why choose a 1050? They can barely play most new titles at high settings let alone get a constant playable framerate. I suggest adding either a 1060 6GB or an RX580 8GB (if the price lowers even further) and then replacing the unimportant parts. EG case, no modular psu, some cheaper RAM (8gb) and a B350 MoBo. EDIT: I could link my build I made early in the year if you’d like to see where I’m coming from. The 1050 Ti is fine.. it even handles Rainbow Six siege at 1440p a med - high settings at a constant 60 fps. The Barely play is just an outright lie. Exactly, medium. Why would anybody waste money on something that probably isn’t an upgrade at all? i said medium to high settings ON 1440P. YES 1440P, NOT 1080P. And that in my opinion is damn good for the price of the card. This is the budget build list though. I think $500 was the limit. I'm interesting in your link. Sounds like the build I've been looking for. Maybe, just maybe you should learn what entry level means. I'm new to building PCs. I've seen a lot of people suggesting that I purchase the B350 Motherboard instead of the one they recommend, for overclocking purposes. I've also seen a lot of people recommend and extra 8 Gb of RAM, and an SSD. What would the negatives be for not going along with these recommendations? As of right now, I don't have much interest in overclocking, as my monitor goes up to 60 fps at 1080p, so as far as I know overclocking wouldn't do much. I am very new to building PCs however, so I may be wrong. I also noticed a lack of a cooling system. Do I need to add that on, or are there cooling systems based inside the parts of this PC which will do the job? The Ryzen 3 1200 comes with a Wraith Air Cooler designed for AM4 boards so the cooler section was left empty. The A320 board was recommended since most beginners don't touch overclocking but the overclocking comes in handy if you're a gamer and want to achieve more stable framerates and some games have trouble reaching the 60Hz limit even on quad cores. The SSD comes in handy for better boot times. The problem with getting it later rather than at the start is the process of moving the OS and other files. The 16GB of RAM is for memory hungry games. The RAM listed here is out of stock. And from what I’ve heard, it’s been out of stock for a while. Does anyone have any suggestions for comparable DDR4 2x4 parts that aren’t way more expensive than the $59.99? I don’t mind it being less MHz. Hi, just a qns from someone who had never built a pc before. So assuming i buy all these parts in the guide, i just have to assemble them together and it will be built? Are there any extra physical things needed? Such as thermal paste? And are the parts bought online credible? Much appreciated for a reply. You'll want to have a Philips head screwdriver handy, but other than that you won't need anything else for the PC. The cooler will include paste. Would this be able to run triple a games at 60 fps? The answer depends on which games, the graphic settings, and the resolution. For example, I got this build (except for the b350 motherboard) and I can play Rise of the Tomb Raider at 1080p 60fps with settings at low-med. If you are going for 4K gaming, ultra settings, and/or triple A games from 2017, you'll probably need a 1060 6g or higher. for 4k the 1060 6GB is way too weak..
Did you get this exact hard drive? I am building this one now except for with a better mother board. The reviews on the HD are horrid. Apparently its loud and people claim it is refurbished. I am not sure if I should return the thing before starting my build. His has a better PSU, case and has a bigger hdd. He is also using better ram. Easy to see why his build is close to $500. Can this run battlefield 1 at medium settings at least? It's been one month since I used this build as a guide for buying parts for my first PC. Big thanks to the author of the build, and to those in the comments who recommended the B350. For those getting into building your first PC, here are a few tips. -Ask yourself what games you'll be playing and what graphics you'll be Ok with. -Google each graphics card to get an idea of how games perform. -be flexible with your budget, account for the monitor, keyboard, mouse, Ethernet, and windows 10 -Do your research. Youtube helped extensively in prep for building. -Have fun. What about upgrades? I'm looking to build a PC like this and upgrade part by part as I go. This and Austin's are my favorites so far but im 100% brand new to PC's so I'm not sure what can or can't be upgraded with these systems. If you want to upgrade this system is the better choice since the CPU of the photon 3.0 is already a generation old. This has a way better upgrade path and you can upgrade everything. But as you might have read i would really get a motherboard with the b350 chipset. Something like the MSI - B350M GAMING PRO. And get a single 8GB stick of memory instead of 2 x 4GB so you can upgrade to 16GB in the future. And you can swap out the CPU in the future no problem with a better CPU as long it has the AM4 socket and is compatible with the motherboard. Also the video card would be very easy to upgrade. Just take the old one out, put the new one in and install the drivers and you are good to go. I recently upgraded from a 1050 Ti to a 1080 Ti and i was done in like 30 minutes including the installation of the drivers. So its very easy to do. I would get an SSD from the beginning since adding one later is a bit annoying to do. A 120 GB or 240 GB would be enough. I recommend gettinga 240 GB or a 250GB though. I want to get a decent gaming PC that can run triple A games like Ark Doom Rust etc at a healthy framerate with medium or low graphics, i want good memory and i don't want to overclock. I'm a bit of a PC noob, but i don't want to break my spine spending my soul on a pre-made PC like alien as i'd much rather build mine for a much cheaper price, below £500 if possible. If anyone can give me any suggestions that would be great, try to not overload the jargon though because it will go right over my head. If the gtx 1050 ti sounds right for you, this build should be fine. If you still want to cut corners in terms of cost, get 8gb ram with a slower ddr4 speed (as long as it's compatible with the motherboard), a 1tb hard drive, and search for a case with a lower price. Ask a friend or post on the forms to see if your parts will work for you. Then purchase your stuff. you really should just take down that ram, I've ordered it weeks ago and still haven't gotten it with no clue on when it will get back in stock. also the video card is $20 cheaper on new egg with a promo code. I'm looking for a new gaming computer for 1000$. I liked your build but tweaked it a bit for my budget, https://au.pcpartpicker.com/list/2HrCGf . Is this build still good? Your build seems good but there are things i would change. Here is my recommended part-list. I will also explain what the changes are and why I made them. Motherboard: I swapped it to a Motherboard that has the B350 Chipset. With the A320 Chipset you cannot overclock your CPU. And the ryzen 3 1200 without overclock doesnt fulfill its full potential. Its still a good CPU without overclock but i would recommend a mild overclock. The stock heatsink is good enough to handle a mild overclock. Memory: I left that one. Storage: I left the 1TB Caviar Blue HDD And i added a 120GB SanDisk SSD as it will lower yout boot-time drastically when you install the OS on it. Video card: I just swapped it out with a cheaper version. Still a solid card. The SC edition just has a higher clockspeed. Case: I changed it to a cheaper case. I put in the Corsair 100r ATX mid-tower. It may not be the very best case but it has everything you need. I have that case for my personal Rig and the only downside is the poor cable management. But with a little work you can still make your system look pretty. And the build-quality is good too. I'm overall happy with the case. PSU: I left that one too. I know it costs 30 bucks more but you'll have the option to OC your CPU AND you get a SSD. Let me know if you have further questions. I used almost exactly same build as you did here and just built it yesterday. This is my first time building however I had an experienced friend help me. The problem is that when I power up the PC it stays on for 30 seconds and then reboots continuously. I get no signal on any of my monitors even though all fans and components seem to be running. Any advice? Im totally clueless and would prefer to not have to return everything just due to lack of ignorance. I have looked high and low for a solution online and have found nothing. All cables and wires are properly attached and all fans are running but no signal and no consistent power. Hope you can help. Thanks! Are there any Debug LEDs on the motherboard? Well depends which intel CPU. The i7 is waay better than the ryzen 3. But as you said much more expensive. This would be an awesome cheap build for entry gamers right? hello I am the only one who made a research and check out that the Ryzen 3 1200 only support up to 2666 of ram speed, so if you put any higher will be just waste of money an resources. Sorry for bad english. I scrolled all the way down to my comment... Well, if this revision is posted 25 days ago, then I would say it may be a bit better, and not as non-budget friendly as it is now. 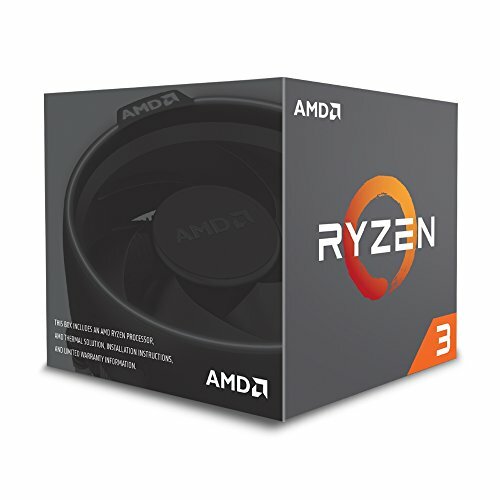 If someone's building an entry level gaming PC, and just happens to target on AMD, sure AMD's Ryzen 3 series is the way to go. However, Ryzen 3 1200 only supports up to 2667MHz of memory, the memory this guide mentioned is way over and you have to downclock the memory, kind of waste of money. It is true that the memory clock is beneficial if you upgrade to a better processor, but what's the chance of you buying the 1200, and after a short while you have the cash to purchase a better processor? The 1050 Ti dropped its price a while ago so I do see the paying less getting more strategy, but now? 1050 Ti is 50 dollars more than the 1050, and you can only see an average of 16% performance increase, so you are paying about 30% more for 16% performance increase, I personally don't think that's a great purchase. Sure, the 1050 Ti has more CUDA cores and more VRAM than the 1050, but for an entry level gaming PC? 1050 Ti might be a bit of an overkill. Speaking of upgrade? Unless you are definitely sure that you will upgrade in the future, I don't see buying a 1050 Ti, at least for now, is reasonable. As for the storage, I think 1TB is enough, but if you just happen to have every single game on the market and you play all of them at the same time, go ahead. 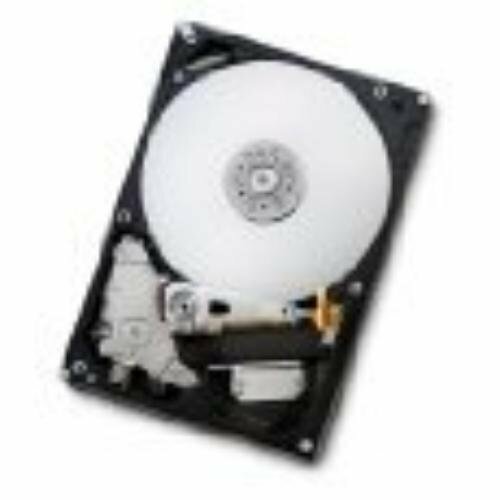 SSDs are still not as budget friendly as the mechanical hard drives. Speaking of the budget, the case does NOT affect the performance what-so-ever, choose which one is cheap and if you like, looks great. Same story goes to the power supply, there's no need of going semi- or fully modular, as long as the efficiency is good, you have no problem of choosing something cheap. Christ I typed a lot. I am lost to read and every time I lose more in this world. I want to build a computer that allows me to play without problems, which is not very expensive. But the most important thing is that the pieces do not exceed $ 200 US for a tax issue, since I live outside of the United States. A budget would be more or less 600 to 700 dollars. I didn't really understand the question.. what do you need help with? Go look on youtube, look up something like PC Builds For $200 Or Less. Hope that helps you, but if not, ask your question again. Have found this thread SO useful! Thanks to all involved and thanks ThoughtA! I am going for this build, I just have a few questions. 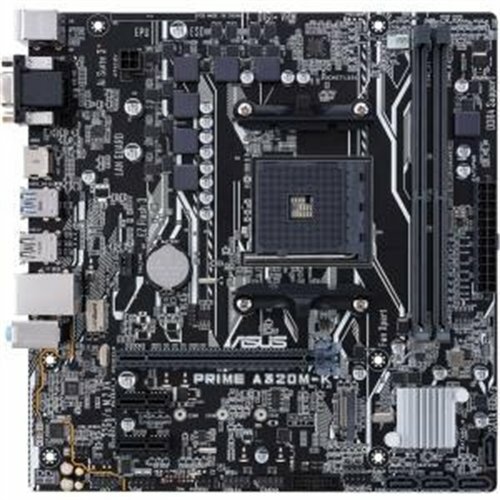 I have swapped out the A320 as suggested and gone for "ASRock AB350M Socket AM4 AMD B350 DDR4 SATA3&USB3.0 M.2 MicroATX Motherboard" Is this a good choice? and is it compatible? I have also gone for a different case, the "DeepCool Tesseract SW Black/Blue Case + Side Window" Again, good choice? and is it compatible? Finally, a mate suggested getting a cheaper RAM, is this a good idea and does anyone have any suggestions? I am using this for games such as Overwatch and Fortnite. I want to start with something like this, but change a few items to make it more focused on video editing capabilities. - This would be editing of raw footage (will include some color grading, high frame rate (120fps) for slow mo, encoding, etc. ), to create short little 1 - 5 minute videos. - On the software side, I was thinking I would try to use Davinci Resolve lite since it's free...I'm coming from Final Cut Pro X. Could consider Corel or something like that. Why go for an Nvidia card when you can get the AMD equivalent of the 1050 Ti and not have to pay the premium for a FreeSync monitor. But what's the AMD equivalent to the GTX 1050ti considering it beats the RX560 but loses to the RX570? Also the RX570 was the original choice before the mining craze. I have a similar build and I was wondering if I could get some input on it. Note that I'm planning on bumping the CPU up to a R 5 1400 later and adding an SSD as my boot drive for windows and a few games. I figured it would be cheaper, in the long run, to start with the GTX 1060 and upgrade the CPU later rather than visa versa since the 5 1400 is $50 cheaper than the 1060. So. A couple of things here. First of all if you get the ryzen 3 i would NOT upgrade to the ryzen 5 1400. since the performance gain would be minimal. I would rather get a ryzen 5 1600 6 core later on. Same here with rhe gtx 1060. the 3GB version is just "meh". I would get the 6GB version even if it is more expensive. For the motherboard there are also cheaper b350 options. in the part list i just took the cheapest one... you can also get a more expensive one. I would make sure though to get one with 4 dimm slots. HDD is fine. for ryzen it is important to get fast memory. i went with 3000 mhz vengeance. Changed to case to a more solid one. The PSU you had was a big no no. I would NEVER cheap out on the PSU and risking to blow up all your parts. Thanks man. Yeah that PSU was sketchy af lol. Why change the case exactly? Was that other one just ******? Also how much of a performance gain does the 6gb have over the 3gb 1060? I was looking at benchmarks and they're within the same neighbor hood. I'm not planning on running Bf1 on high or anything. I don't even play Battlefield lol. I play stuff more like Fortnite, Overwatch, and Destiny 2. Would you still recommend the 6gb? I'm super broke so I can't just be like oh spend more money on everything even tho I'd like to lol. I mean by the time I build this the 6gb price might drop so idk. I'm new to this, should I buy this or the Intel one? Get this one, but get a B350 motherboard and a 1300X cpu. That cpu is the same price as a 1200 right now. Ok so I've never had a gaming pc and I have no idea what I need to be able to play what I want, would this be able to handle Arma3, PubG, and ARK? and if not could someone please point me in the right direction? Those games have their system requirements listed on their Steam page. You can take a look and plan around that. Hi new to the building your own pc thing. If i were to use this setup for games like Dota/Overwatch and mainly running applications like adobe premiere pro and photoshop, how well will this computer fair? Not having a B350 motherboard makes your 3000Mhz Ram kind of worthless, as the board will cap at 2400Mhz it, while the A320 chipset will help you a lot with cost reduction, its not good with any RAM above 2400Mhz. is this pc able to handle most AAA games and all that kind of stuff with good frames and without having to use low settings for graphics. 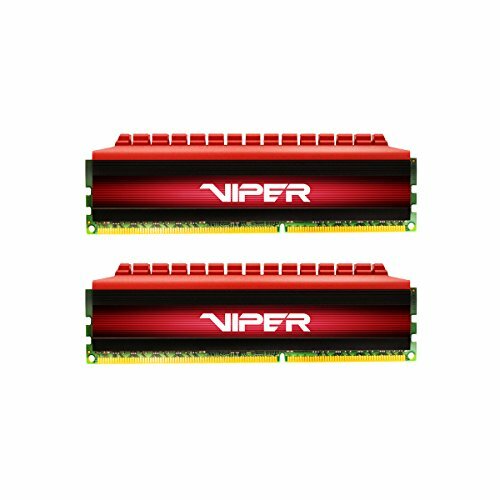 Does HyperX Predator DDR4 RAM 8 GB (2 x 4GB) Work fine instead of that ADATA 8GB (2 x 4GB) ? yep.. what speed are they? There is 2133 MHz for 2 dollar cheaper. What diffirence does higher MHz make? I accidentally bought the DDR4-2400 instead of the DDR4-2800, will this still work? The motherboard says that it will accept that speed but im new to this and am trying to find out if I need to return the item and order the DDR4-2800 instead! Thanks, I think I'll upgrade to ddr4-3000 next! I would say cut out on the Hard drive, get a 1tb. This should give you enough for a B350 Mobo, for example ASROCK B350M. 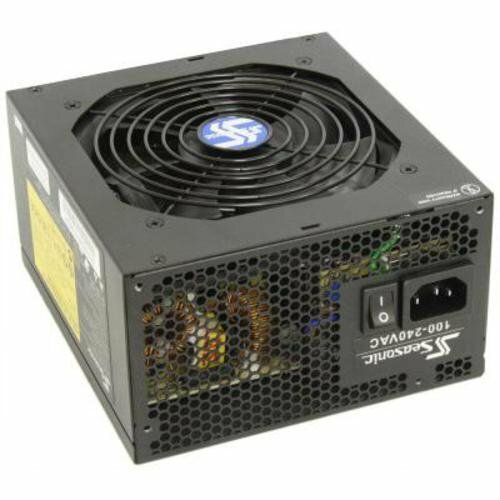 Hey guys I'm a computer noon and am building my first computer, will this build allow wifi connection? Could this run Games like DayZ Standalone at all? even if you have to putting setting a little low. Nah, you'll be fine. I built this with DDR4-2400 RAM and it works great! That's a relief thanks for your response !! 3000 Mhz would be better performance wise but you'll be totally fine with 2400 Mhz. Does this build need thermal gel? It does not. The CPU comes with a cooler that has pre-applied thermal paste on it. How good could this run battlefield 3, 4, or 1? Automatically adapts to what country you set the country to on the website. I see builds like this getting to that 500 dollar range by axing the SSD. How do we feel about this? In my mind, modern gaming should have 16gb RAM and an SSD at a minimum. I can see the RAM going to 8 if you REALLY don't do much, but I feel like SSDs are just super important for keeping a PC feeling snappy through years of use. Look at the old PCs that always felt so freaking slow just because of an old HDD that had everything on it. idk...I would be too nervous not including an SSD in a modern PC. Some things perhaps aren't worth cutting cost. 500 dollars sure, but better 600 dollars that lasts longer than 500 dollars that feels slow and old quickly. Nothing against this build at ALL btw, just kind of thinking out loud I guess. Please remove the M12II from your parametric filters. It's an outdated unit that is group regulated and missing many basic protections. I like this guide. I have been working on a similar one, and also chose the 320 chipset as I have no intention of overclocking, which I have not actively done since the days of my Celeron 300A. For my build, I am targeting a single 8GB DDR4 config to start, to allow me to add a second 8GB for 16GB and dual channel performance at a future time. I realize the starting will only give me single channel RAM, but based on several posts I have seen, the performance hit for the games I play should not be huge. Since I own a spare 1TB 7200 HDD, my config has a 256GB SSD as the primary storage device included in the cost. This is where the OS and my most actively used games will be installed. I will then install my my 1TB disk for data storage, and less frequently used applications. Ended up doing this build with the A320M-HDV and Team Vulcan 3000mhz, but it doesn't seem to post to bios (although it turns on) and I suspect the issue might be with the RAM. After looking through the QVL I now notice that it is not listed. Did anyone else have similar issues? Faster RAM won't benefit it in games when pairing it with the 1050 Ti, so if gaming is the primary use of this PC, don't buy faster RAM, as it is unnecessary. It is useful in other situations, but not in gaming if you have lower tier graphics card. The performance increase will be negligible (1-2 FPS increase), and it doesn't warrant the extra cost. No SSD is there a reason? I was gonna add a 120GB SSD to my build however i found that it added an additional 50+ dollars to the overall price. This build is aimed toward the budget builder that cant give up a whole lot. I would personally go with a Full ATX board with a Ryzen 5 chipset and maybe downgrade to a 1050 2GB until the Crypto Scare is done. Also, for 20 dollars less (last time i checked) you can get a V Ripjaws 8GB DDR4 2660. Then over time you can add more Memory. A decent full ATX case will cost 5 dollars more. One that wont draw blood at least. Would this support the Oculus Rift? From what i can tell it would, just dont want to buy the parts and find out the hard way. If you are opting for VR I would spend a bit more. I think I'm going to have to give this build a negative review. Unless I'm just the only one, I'm having nothing. It misfortune trying to get this to post. Ive taken it to a shop asked on forums and even they can't seem to uncover the truth as to why this is happening. Even if there is a faulty part. I have no way of knowing. I hope I can return all of it. This just deterred my dreams of owning a pc and shattered them. For those who are curious, stay away or find a better build. It looks like you didn't really engage with those responding to your troubleshooting post or really go very far in troubleshooting it (or didn't express how far you went). I encourage you to try to narrow down the problem component so you can figure out what's going on and how to handle it. this build is compatible... Either you made a mistake while building or a part was broken. It isnt the part lists fault.. What exactly is the problem? Does the system start up but there is no image? or doesnt it start up at all? I disagree with settling for a 1050Ti, I've seen some gameplay comparisons and benchmarks on youtube and it looks like quite a jump from just the 1050 to the Ti version. Also I think the board should be changed to a b350, just to take advantage of Ryzen's OC capabilities in the future. But everything else that you've said, I agree with. The 1050 and the 1050 ti have very different performance. The 1050 ti is much better. 2gb just isn't enough. Agreed. TI gives you 128 more CUDA cores and double the VRAM. It definitely should be enough if you are playing on 1080p and don't plan on playing with the highest texture settings. IMO an entry level gaming build should just be able to get 60fps on 1080p, my suggestion isn't directed towards looks or high (or maybe even medium) graphic settings. Mate, the 1050 can’t run anything on settings higher than medium or low on 720 let alone 1080, stop kidding yourself. I plan on getting it lol. Friends have said they can pull off 60fps with 1080p on lowest settings. Don't want to cheap out too much though. Doing so will just cost more in the future when it is time to upgrade. The 1050 is great for casual games, mobas, or CSGO. It can handle a few AAA titles as well, but I'd say get the Ti as that'll give you far better performance and fewer headaches. Also, keep the faster memory and just swap the board out for a B350 in order to take advantage of the OC ability of the 1200. This will also allow you to potentially OC your memory (got mine to 2933MHz). As far as the PSU is concerned, whether or not one goes with modular is purely down to preference. Same with the case (I got my Cooler Master for free).